American artist Eyvind Earle was the art director for the Disney® film Sleeping Beauty and began his career with Peter Pan. 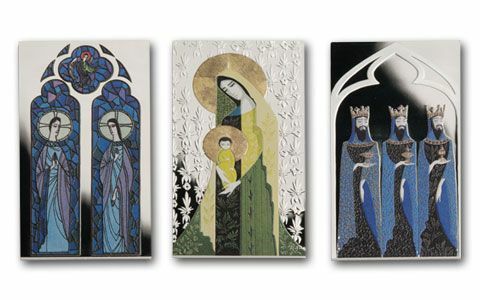 But he is most famous for his striking Christmas cards. 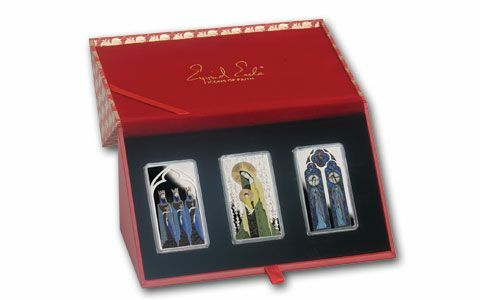 Three of his most famous designs are here on these massive 2015 Silver Icons of Faith legal-tender Proof-Like coins: the Evangelists Matthew and Luke, the Madonna and Child and the Magi. 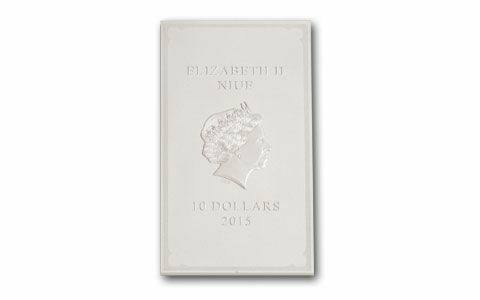 Each coin is struck in 50 grams of 99.9% silver and has a portrait of Queen Elizabeth II on the obverse. The maximum mintage for each is only 3,000. 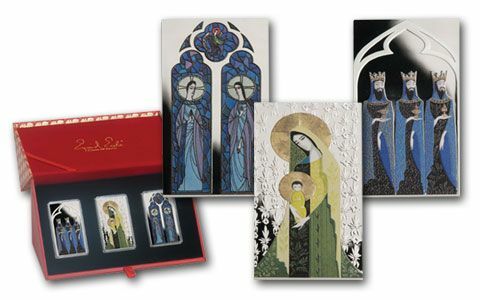 When you consider that a book, The Complete Christmas Card Art of Eyvind Earle sells for $235 - just for a book - you're certain to understand the value represented in these spectacular hefty silver works of art. Order the three individually or as a set now! Each comes in mint packaging.